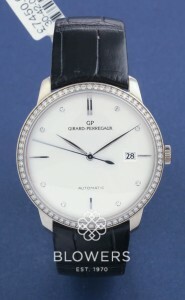 Located in La Chaux-de-Fonds, Switzerland, Girard Perregaux watches trace their history back to 1791. The company’s founder, Constant Girard, was renowned for his fascination with tourbillons. Today, their diverse collection includes men’s and ladies’ timepieces in a range of metals, featuring various complications. 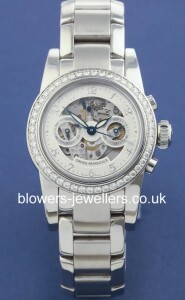 The watches are renowned for their expert finishing. 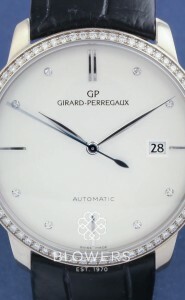 Browse our selection of Girard Perregaux timepieces below. All watches on our website are in stock and available to view at our Kingston upon Hull boutique, or by appointment at our London Mayfair office. Looking for a specific model? Contact us and we will endeavour to source it for you.